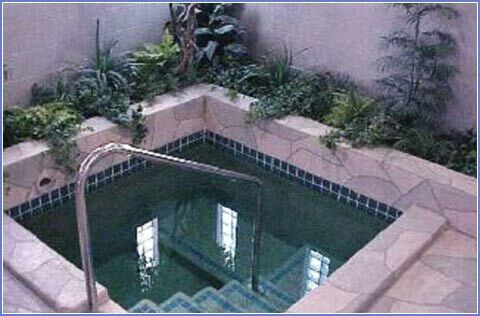 A mikvah is a natural body of water or a gathering of water that has a designated connection to natural water. The pool is designed specifically for immersion, according to the rules and customs of Jewish law. It contains about 200 gallons of water. WHAT IS SPECIAL ABOUT THE WATER IN A MIKVAH? Water is the primary source of all living things. It has the power to purify, to restore and replenish life. A mikvah must be filled with living waters from a flowing source that has never been dormant, such as fresh spring water, rainwater, or even melted snow.The water is kept under strict hygienic control, cleaned daily and chlorinated. WHAT IS TAHARAS HAMISHPACHA, FAMILY SANCTITY? The Jewish marriage sanctifies husband and wife. Taharas Hamishpacha observance introduces times of separation and reunion as part of a cycle in married life. Separation begins with the onset of the menstrual flow. It is a time when the depth of the husband-wife relationship is expressed without physical intimacy. It is a period of anticipation and preparation for mikvah immersion. The reunion, which follows, holds the highest potential for sanctity in marriage. HOW DOES ONE PREPEARE FOR MIKVAH IMMERSION? Following one's monthly menstruation, a woman counts seven "spotless" days. During this entire time, from the onset of menstruation until mikvah immersion, couples should refrain from marital relations. Prior to immersion, a woman must cleanse herself thoroughly. She immerses after nightfall. WHY SHOULD I GO TO THE MIKVAH? Immersion in the mikvah is a biblical commandment of the highest ordinance, equated with mitzvos(commandments), such as Kashruth and Shabbos. Immersion is also a way of drawing G‑d into your marriage, by making Him an integral part of it. Mikvah helps create a husband-wife relationship that is in a state of continuous renewal. With marriages failing daily, the laws of Family Purity may help you find fulfillment within a sanctified marriage that is caring, romantic and strong enough to last a lifetime. WHERE CAN I FIND THE NEAREST MIKVAH? Complete understanding and observance of these laws necessitates in-depth study and subsequent review on a woman-to-woman basis, in private or group settings, with open sharing of knowledge and experience. Mazal tov! We are renovated the North County Mikvah and YOU can make it happen! please take part in this great Mitzvah!